Swimmer’s ear is an irritation, inflammation, or infection of the outer ear and ear canal. It is medically known as otitis externa. It basically affects the tube that connects the ear opening to the eardrum. Swimming in an unclean water could lead to swimmer’s ear as bacteria found in such water could lead to an outer ear infection. Swimmer’s ear is rarely caused by a fungus. 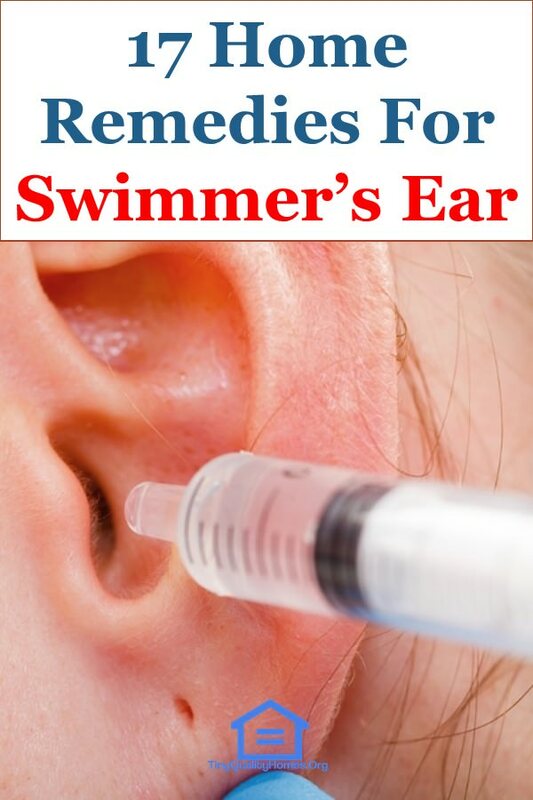 Other causes of swimmer’s ear include; irritation or allergy from hair dyes, jewelry or hair spray; something getting stuck in the ear, severe skin conditions such as psoriasis and eczema, as well as scratching the outer or inner ear. Common symptoms of swimmer’s ear include; itching of the ear, hearing loss, pus-like drainage from the ear, ear pain, swelling, and redness. If you are experiencing symptoms of swimmer’s ear, endeavor to consult a doctor immediately for appropriate treatment. You can use the home remedies below as ancillary/adjunct therapy. Avoid using earplugs, headphones, or hearing aids when undergoing treatment as they could be sources of infection. Avoid swimming and other underwater sports until the infection is completely gone. The goal is to keep your ear dry and irritation-free. Be cautious when using jewelry, hair dyes, or hair sprays as you could be allergic to some of them or they could be sources of ear irritation. Avoid pools you suspect are unhygienic or poorly maintained. If water is clogged in your ear, you could turn your head from side to side to help drain the water out. Onion juice is an antibacterial as well as mild astringent and can be used to help the body clear up the infection. Although a mixture of olive oil and onion juice can also be used to offer the same effect, onion juice alone is equally powerful when used directly. Just squeeze the onion to produce a small amount of juice, then, warm the juice slightly using a microwave. Once the juice is slightly warm, use a dropper to put 4-7 drops of the juice into the infected ear. It is possible to drain out water inside the ear canal. Tilt your head sideways position while you are standing. You can then pull the earlobe to help drain the water out. You can also stroke the other ear or hammer the head to drain out the water out. This is the most used remedy that you can apply immediately after coming out of a swimming pool. It can also be used as a preventative mechanism to prevent swimmers ear. Shaking the ear, with a finger to ease the itching sensation, can easily aggravate the condition. Use a dryer to drive out water inside the ear canal. Set the dryer to “hot setting” and blow it directly at the ear canal at about 50cm away from the ear to dry out stagnant water in the canal. Drying the ear canal inhibits the growth of bacteria and helps to relieve any symptom of swimmer’s ear. Hydrogen peroxide is a natural antibacterial agent that can also be used to dry up the ear and clean up the infection. Use a dropper to put the diluted hydrogen peroxide (3%) into the infected ear twice a day and the infection would subside after a few days. Salt pillow is one of the oldest swimmer’s year remedy that has long been used to remedy swimmer’s ear. It is quite effective in relieving the infection as it has antibacterial properties and can help to absorb stagnant water in the ear canal. Wet a small pillow in a mixture of water and salt and warm the pillow slightly in a microwave for a few minutes. Then lie on the pillow with your ear right on the wet pillow. The salt would help to absorb water from the year canal and help to get rid of the swimmer’s ear infection. A mixture of water and vinegar, at a ratio of 1:1, works a great deal for people who have swimmer’s ear. The diluted vinegar’s mildly acidic nature would help inhibit the infection. Use a dropper to put 3 to 5 drops of the solution into the affected ear. In case of any sign of infection in the out ear, wet a cotton ball on the solution and use it to wipe off the affected area of the skin. If white vinegar is not readily available, you can use apple cider vinegar instead. Breast milk is an effective swimmer’s ear remedy that is mostly used on babies. Breast milk helps to fight inflammation as well as help to relieve swelling and pain in the affected ear. Use a dropper to apply 3 to 4 drops of breast milk in the baby’s ear. Tilt the head to allow the milk to flow into the ear and leave the baby lying down for at least five minutes. Virgin olive oil is also an effective home remedy for swimmer’s ear. Just take a clean cotton ball and soak in olive oil. Squeeze a few drops into the ear while lying down. Olive oil helps to remove excess wax and soothes the ear. It also helps to drive out water from the ear and coats the walls of the ear. Garlic oil is a popular antibiotic and widely used as a home remedy for swimmer’s ear. A mixture of garlic oil and olive oil has been used for centuries to inhibit bacterial and fungal-related infections. Although garlic alone can still work, the addition of olive oil helps to bring the drying effect. A hot cotton cloth is also a popular home remedy for swimmer’s ear infection. Just place a cotton cloth in hot water to absorb the hot water. Wring out the excess water and place the damp warm cloth around the ear, near the jaw or around the mastoid bone. Moist heat helps to unclog congestion in the ear canal, drive water out of the canal and detach wax inside part of the ear. Baby oil can make a great swimmer’s ear home remedy. Baby oil helps to cleanse material buildup in the ear as well as soften and remove excess ear wax. Thus, helping to keep the ear in a hygienic condition. Warm some baby oil and use a dropper to drop about 3 drops inside the ear canal and plug the ear with a cotton ball. Leave the oil for a few minutes before you drain it out. This a technical strategy that can be used to drain out water inside the ear canal out through the throat. This technique is mostly used by chiropractors as it involves manipulation of cranial bones using physiotherapy techniques. Cranial sacral therapy can also be used to treat other ear infections such as sinus congestion. Witch hazel works effectively for swimmer’s ear infection. Just apply some witch hazel solution on a clean cloth and rub the outer region of the ear. 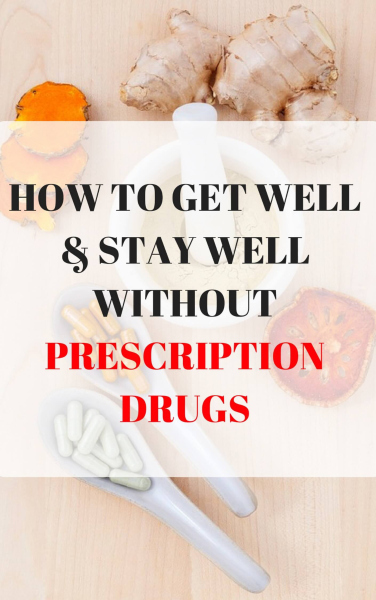 This helps to ease itching and crusting and daily application can heal the problem within a few days. An essential oil is a great home remedy that can help to ease the pain. Essential oil works from the outside part. Use it to massage the back of the ear along the neck and front of the cheek. Essential oils, especially tea tree oil and helichrysum oil, help to ease the pain within a short time and allows you to sleep better. However, ensure you dilute the essential oil with a carrier oil, such as coconut oil or olive oil, before usage. If you have been suffering from frequent swimmer’s ear problem, it might be an indication that you have a weak immune system and Echinacea tea could help boost your immunity. Echinacea tea helps to improve the immune system and help to get rid of swimmer’s ear recurrence. Taking a glass of milk mixed with a teaspoon of turmeric every day can help a great deal in healing swimmer’s ear. Turmeric helps to boost the body’s ability to fight infection and although it may not help to treat the infection directly, it helps to reduce redness and swelling in the affected part. This home remedy helps to thin blood vessels and improve blood flow, which helps to prevent blood congestion and act as a pain reliever. Any moisture in the ear can serve as a breeding ground for fungi and bacteria. So in the case of swimmer’s ear problem, it is important to keep the ear dry all the time to prevent the growth of bacteria and fungi.